Ram continues as “King of the Hill” in the heavy-duty battleground with the introduction of the 2016 model year Ram 2500 and 3500 Heavy Duty pickups. The capability leaders further build on a list of best-in-class claims. Additionally, for two years running, the Ram 1500 leads pickup truck fuel economy with the exclusive 3.0-liter EcoDiesel V-6 engine, delivering 240 horsepower, 420 lb.-ft. of torque and 29 miles per gallon (mpg). Ram Engineering and Cummins developed a new, hard-hitting fuel delivery and turbo boost calibration for the 6.7-liter I-6 diesel that produces an additional 35 lb.-ft. of torque. This improvement raises the bar from Ram’s current title at 865 lb.-ft. of torque to 900 lb.-ft. of torque — a number never achieved in a mass-produced vehicle. The previous heavy-duty towing title also belongs to the Ram 3500 at 30,000 pounds. 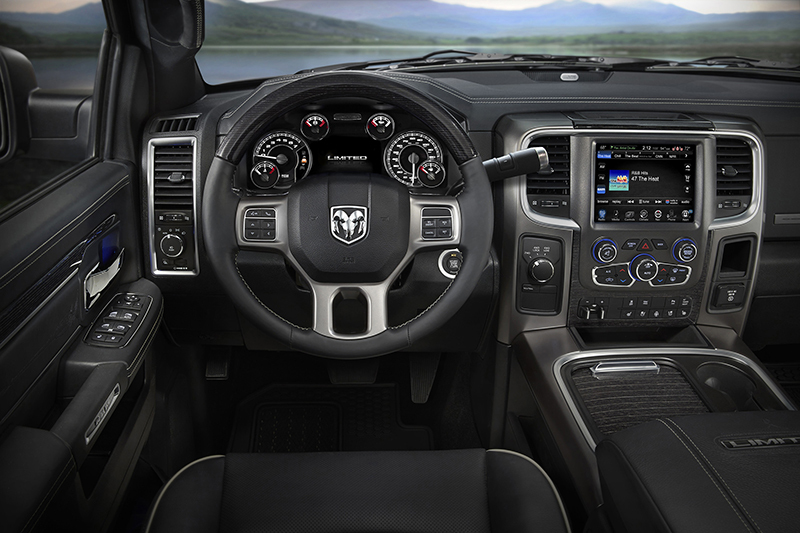 The 2016 Ram 3500 brings that stat to 31,210 pounds, further distancing the closest rival by more than two tons. To handle the increased towing capacity, Ram engineers beefed up the rear axle ring gear hardware from 12 to 16 bolts on all trucks equipped with the 11.8-inch axle. The additional hardened bolts and stronger material are used in the differential case to assure long-term durability. 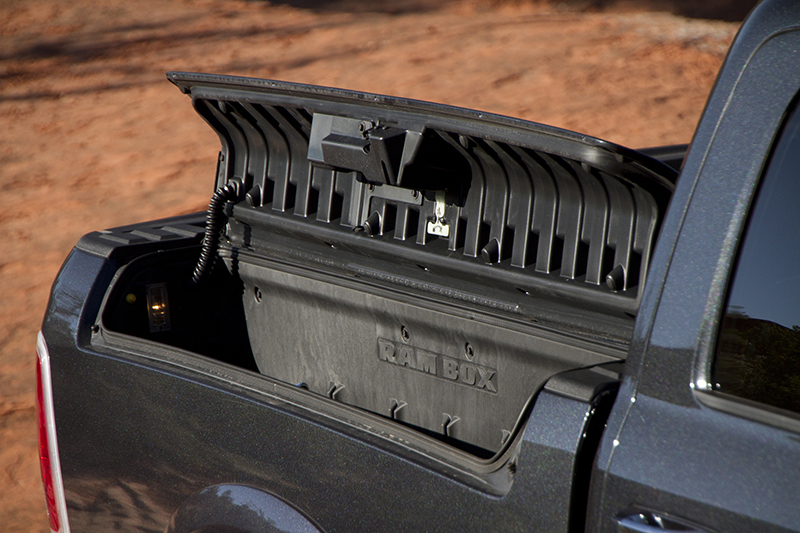 The most payload available in a pickup is 7,390 pounds for a 6.4-liter-equipped Ram 3500 model, more than 3.5 tons. 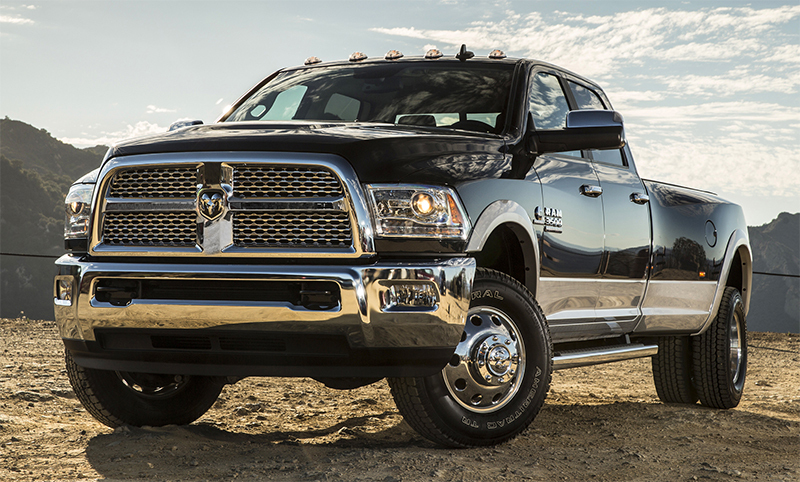 The 2016 Ram 2500 also continues its ¾-ton towing leadership with a dominating 17,980 pounds of capacity. Ram is the only automaker to back its entire pickup truck line and towing claims with SAE J2807 testing criteria. 2016 Ram 1500, 2500 and 3500 pickups will arrive in dealerships in the fourth quarter of 2015. The 2016 Ram 1500 Crew Cab and Quad Cab models are built at the Warren Truck Assembly Plant(Warren, Michigan), which has built more than 12.5 million trucks since it started operations in 1938. Regular Cab and additional Crew Cab models of the 2016 Ram 1500 are built at the Saltillo Truck Assembly Plant in Coahuila, Mexico. Ram 2500 and 3500 Heavy Duty pickup trucks are also assembled at FCA’s Saltillo Truck Assembly Plantin Coahuila, Mexico.